Visit our shop or make a service appointment today. Welcome to the Northern Valley Appliance web site. Our success is built on a commitment to provide a quality service, tailored to each client's needs. We specialize in bringing you a wide variety of items at a minimal cost. Our emphasis is on quality, value and service. Whether your needs are simple or complex in nature, Northern Valley Appliance can provide solutions that deliver results. We pride ourselves on being a company where customer service means timeliness, quality service and a friendly attitude. If integrity and experience are what you are looking for, call or email us today. We look forward to hearing from you. Plus! Ask us about our 'Do It Youself' help. 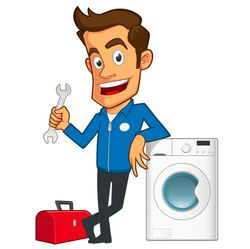 Northern Valley Appliance can repair most major brand washers, dryers, refrigerators, freezers, dishwashers, ranges, ovens, gas & electric stoves, range hoods, microwave ovens, and garbage disposals. Yes. We can repair your gas and electric ovens and cook tops and stoves. What appliance brands do you work on? We work on all major appliances. Whirlpool, Maytag, Kenmore, Jenn Air, Kitchen Aid, GE, Caloric, LG, Frigidaire, and all the common brands of course. During the initial phone contact with the customer, Northern Valley Appliance will try to gather information about the potential repair and pick up anticipated parts prior to the service call. Unfortunately, it is impossible to accurately diagnose all problems over the phone or stock every potential part in the company vehicle. If an additional part needs to be ordered for your repair, you will only be charged for the labor during the return call to complete the repair, but never a second trip charge on that appliance repair. If you have to order a part, how long will it take? In most cases it takes just a day or two for the part to arrive once ordered. Common brands such as Whirlpool or Maytgag can often have parts shipped to us in a day or two unless it is special order or something unusual. Some of the higher end brands or odd parts can take 3-5 business days or longer in some cases. We make every attempt to get the part and get back out to you as quickly as possible. We will let you know the ETA of the part when we call you with the repair quote for your approval proir to ordering. Repair calls loads vary, especially around the holidays. Northern Valley Appliance is dedicated to provide prompt service so the customer can return to normal operation quickly. Service calls are typically scheduled in 1-2 days. A 2 hour time frame is provided for the day of the scheduled repair. If there is a situation where the appliance is causing property damage or food loss, every attempt will be made to try to schedule same day service. 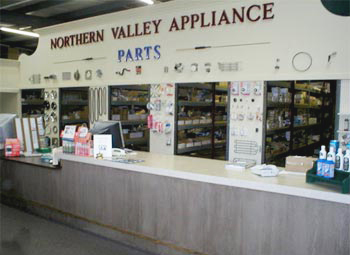 Northern Valley Appliance offers appliance repair service Monday through Friday from 8:00am – 4:00pm. Most appointment are set within 48 hours.